Milk is only for babies and kids? Do we still need to continue drinking milk too? Some say they have a lactose intolerant so skipping the milk is the option. Don't put that as the reason. You can always include milk as part of healthy diet. I was like that too in earlier stage. I started by drinking little warm milk alternate days. Then gradually increase the in take. Now I drink milk almost everyday. Do you know we are recommended to take 1000mg of calcium daily, a nutrient which is essential for bone health? How to get that amount of calcium? The fastest, easiest and safest way is to consuming milk and dairy. For those who are looking to lose some weight can add some protein like milk into their diet. Milk is inexpensive protein and nutrient rich. Apparently, dietitian says people who drink milk daily are more likely to lose weight than women who do not drink milk. Milk helps build strong muscles with some ideal ratio of carb to protein and is a good drink choice for active individuals after a workout. As women age, their metabolic rate kind of decrease which same goes with bone strength and increase the risk of osteoporosis. The combination of calcium and vitamin D from drink milk helps in enhancing bone mineralization. We also need to be careful in choosing milk products. Some cow's milk contains growth hormones, which may lead to increased risk of breast and other cancer. If you are looking forward to including milk in your daily diet, please choose milk from grass-fed, pasture-raised cow for higher nutritional value. Many try to opt for low fat which is actually a processed milk. I would recommend you to drink full-fat milk which has higher nutritional values. When it comes for my choice of daily milk, I love Fernleaf UHT milk. It contains 100% trusted goodness milk from New Zealand. Fernleaf is a long-term milk brand and has been in the market for over 140 years experience in dairy farming. I am not surprised they have made New Zealand as a world leader in dairy farm produce. At Fernleaf, cows are at the heart of a dairy farming business and farmer welfare is not taking for granted. Fernleaf cows are fed with natural grass and famous with its healthy cows produce. They are famous with high-quality nutritious milk. All these thanks to New Zealand fertile soil, excellent rainfall and abundant of sunshine which makes this place as the best place in the world to produce milk. The cows there is well-taken care off with only high-quality grass feed, good climate, clean air, water and basically they are a bunch of happy cows living there without any need for a booster for milk producing. You want to know more about Fernleaf? 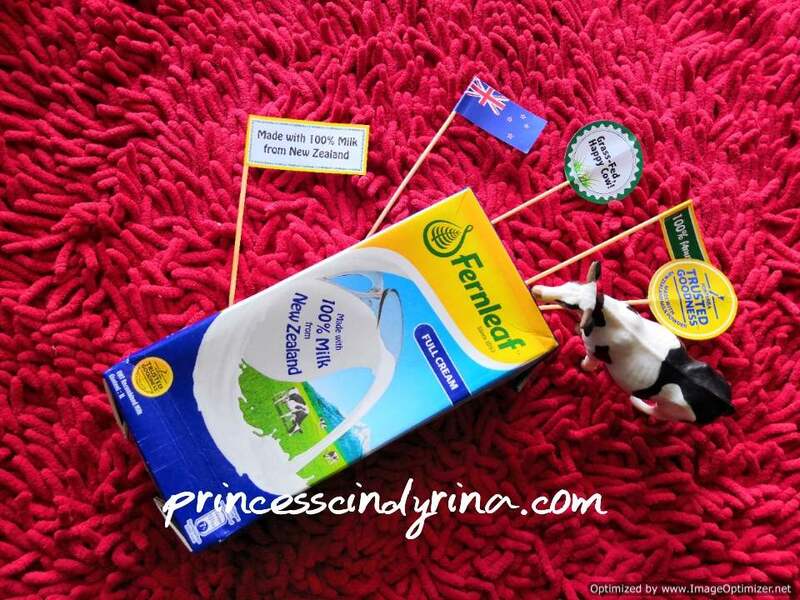 It is always in my travel list to visit a farm dairy in New Zealand and get the first-hand farm experience there. Do you drink milk daily? 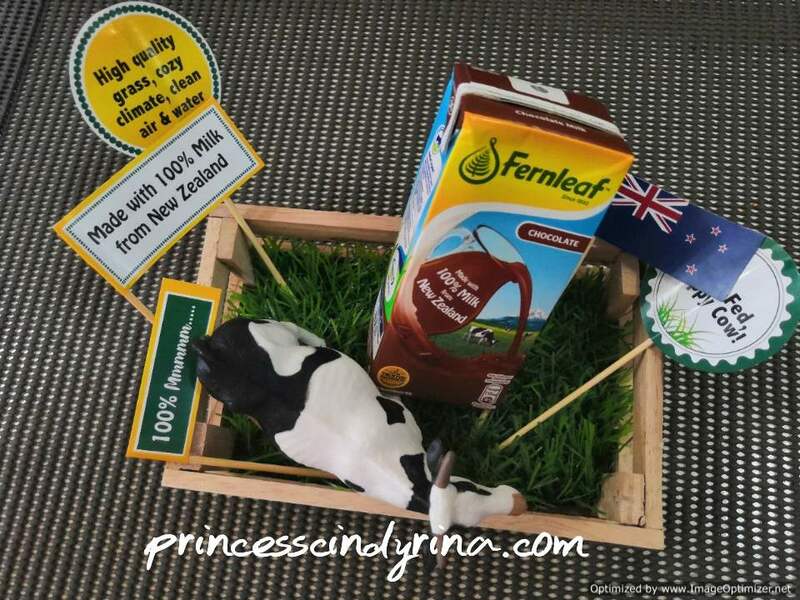 Best kan Fernleaf choc tu..i dah minum dan rasanya sangat sedap..terus terbayang- bayang farm di NZ..alaaaa...bestnya kalau dapat pergi..thanks Rina share tips memilih susu...sangat2 membantu..
My kids love to drink fernleaf.. especially the chocolate flavours.. taste so yummy.. and it's so nutricious..
Berserinya dia minum Fernleaf! Nad tak suka sangat yang pure milk tu. Kalau chocolate ok! <33 Sedap dan menyihatkan heheh. yes I sangat suka taste susu yang putih tu.. serious tak rasa loya, rasa dia memang fresh macam minum susu dekat new zealand... thanks for tips ! I will always try to drink milk, at least once a week haha. And nowadays have so many choices of flavors to choose from too. Thanks for sharing the benefits here. Susu yang bagus kalau minum di serap kalsium tu dan jadi tulang dan gigi yang kuat. lepas tu minum pun perut tak meragam. fernleaf ni brand otai juga. trusted. biasa jugak beli utk anak-anak. diorang suka susu based drink. i tak suka milk.tapi once pregnant dulu i terpaksa minum sebab fikirkan anak kan.so end up i pilih jenama HL sebab yang tu je yang i boleh telan.fernleaf ni jenama yang sangat lama dah bertapak since i kecik lagi.